Now that autumn is finally here again, I’ve been craving all the cozy things: soups, stews, and everything warm! 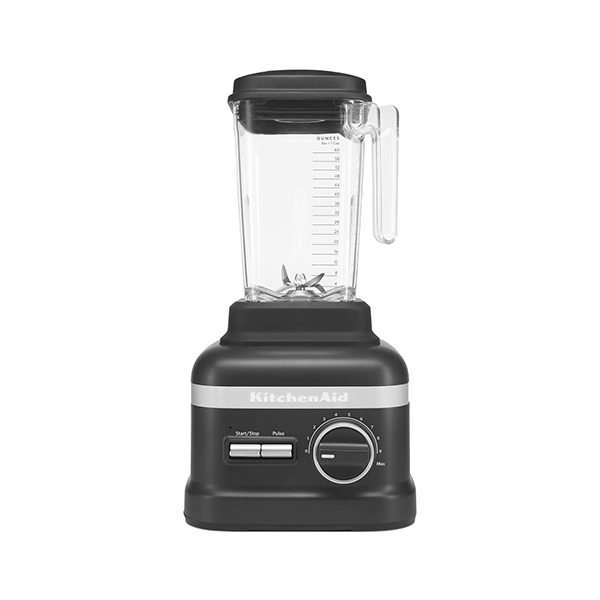 This summer, I was living off smoothie bowls, shakes, and ice-blended drinks, which in turn meant that I got really close to my KitchenAid® High Performance Series Blender. And while you might be thinking now’s the time to put your blender away in your storage closet for the fall and winter months, I’m here to tell you not to do it! You’ll need it to make all the cozy soups you’re craving this fall and winter, not to mention all your hummus, peanut butter, and pesto. 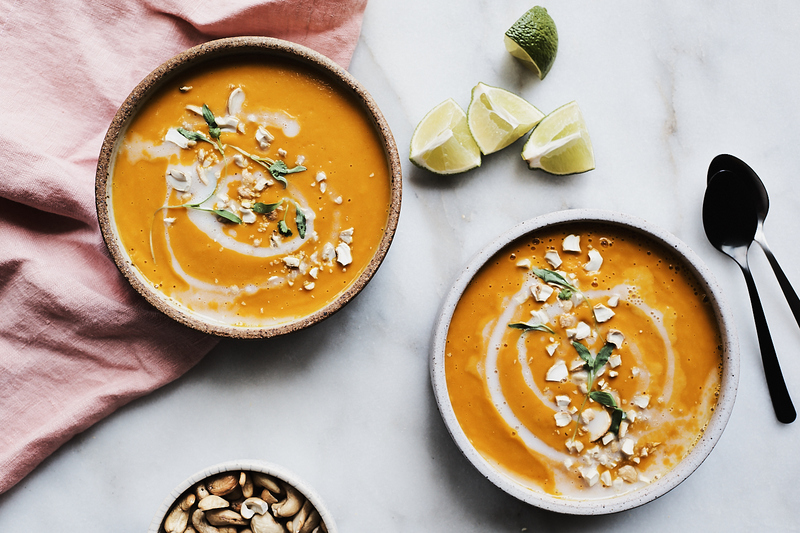 Right now, I am obsessed with this Coconut Curry Carrot and Sweet Potato Soup. It’s loaded with nutrients like beta-carotene and potassium thanks to the carrots and sweet potato and packed with flavor! 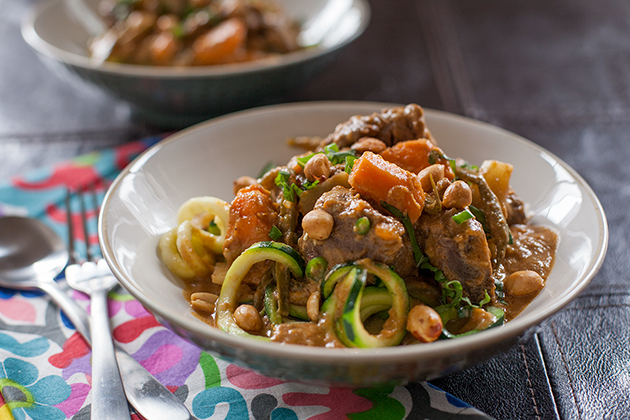 And the warming curry spices are perfect for a chilly day. I’m a huge fan of sweet and savory combos and this soup is the ultimate embodiment of just that. The carrots, sweet potato, coconut milk, and even onions all add natural sweetness to this dish, while the spices and vegetable broth add the much needed savory flavors that play so nicely with all the sweetness. And while this soup checks all the boxes for my favorite flavors, the best part about it is how easily it comes together. You basically need three tools: a sharp KitchenAid® Chef 8″ Knife, a KitchenAid® Tri-Ply Copper 3.0 Quart Saucepan, and the High Performance Series Blender. You’re all set, so let’s get to it! As a rule of thumb, I’d recommend reading through the recipe twice, and gathering all your ingredients to make easy work of this soup. That means peeling, slicing, and dicing all your veggies, and rummaging through your cabinets and refrigerator for the the rest of the ingredients before you get to cooking. Once you’ve done all that, the rest is a breeze! 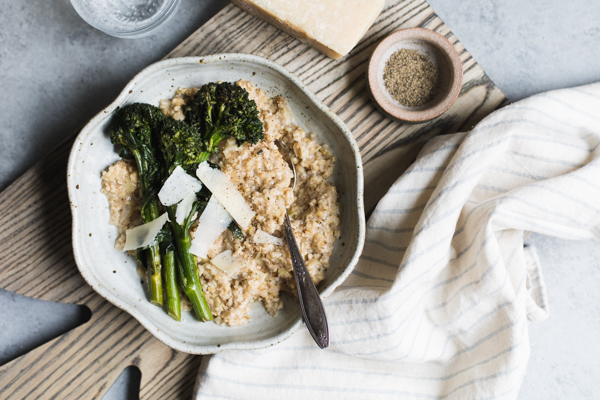 Start by adding 1 tablespoon of coconut oil to the Saucepan and heat it over medium heat. When the oil is shiny and shimmery, add the diced onion and a pinch of salt and cook it for 5 minutes, stirring frequently. Next, add the carrots, sweet potatoes, vegetable stock, curry paste, curry powder, salt, and freshly ground black pepper (to taste) to the pan and bring to a boil over medium-high heat. Cover and reduce to low and simmer for 20 minutes. The vegetables should be very tender. Pour the carrot and sweet potato mixture into the jar of the High Performance Blender. Add the juice of 1 lime and a can of coconut milk, reserving about an ounce if you’d like to use it for garnish (optional to reserve). Secure the lid on top of the jar and turn the dial to Speed 1 and slowly increase to Speed 5 or 6 and blend until smooth for 1-2 minutes. The steam should be visible when you (carefully) twist off the top of the jar’s lid. Next, pour the soup into bowl and get to garnishing! Garnish with a drizzle of coconut milk (optional), toasted cashew bits, and cilantro. 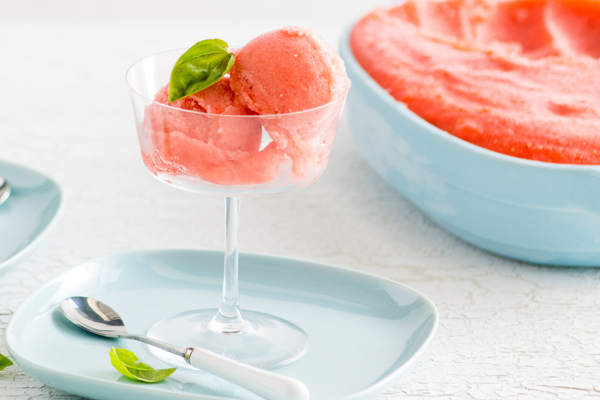 Serve warm and eat it while it’s hot! Share your take on this Coconut Curry Carrot and Sweet Potato Soup Instagram using #ForTheMaking for a chance to be featured. 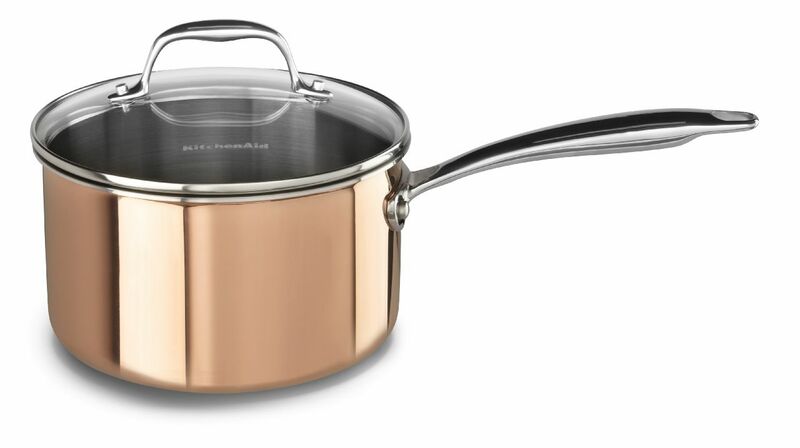 Add the coconut oil to the KitchenAdi® Tri-Ply Copper 3.0 Quart Saucepan and heat over medium heat. Add the onion and a pinch of salt and cook for 5 minutes, stirring frequently. Add the carrots, sweet potatoes, vegetable stock, curry paste, curry powder, salt, and freshly ground black pepper (to taste) to the Saucepan and bring to a boil over medium-high heat. Cover and reduce to low and simmer for 20 minutes. The vegetables should be very tender. Add the carrot and sweet potato mixture, lime juice, and coconut milk (optional: reserve an ounce of milk for garnish) to the jar of the KitchenAid® High Performance Series Blender and secure the lid on top. Turn the dial to Speed 1 and slowly increase to Speed 5 or 6 and blend until smooth for 1-2 minutes. Steam should be visible. Serve immediately, topping with cashew bits and cilantro (and coconut milk if you desire).